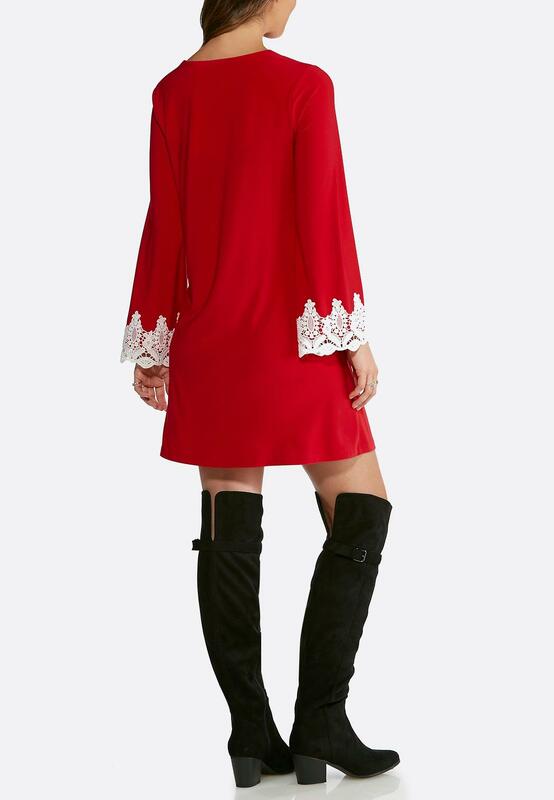 'Tis the season for feeling fabulous in festive style and this swing dress will make you feel just that with its crochet trim sleeves and fun swing style. Love this dress, wear it with tights, runs a little large. This dress runs a little big, so I ordered a size down. Love the fit and the style of the sleeves.